Editor’s Note: Be sure to use LineupHQ to build optimal lineups for the prime-time game! 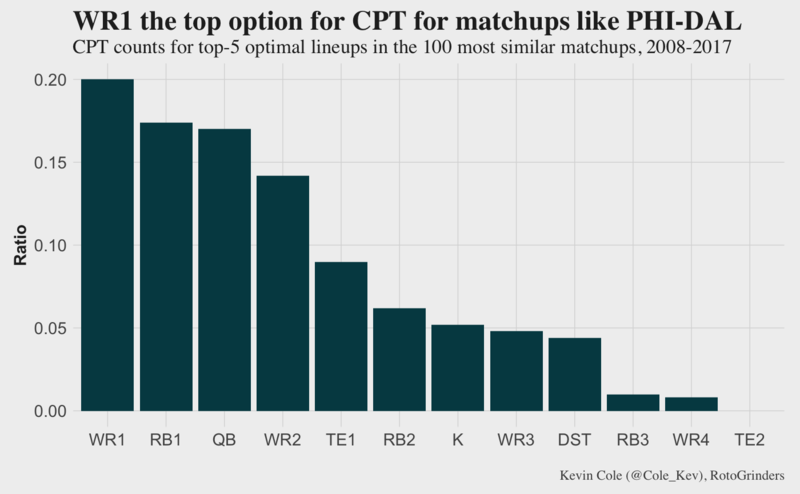 To analyze this specific Showdown slate, I looked through thousands of NFL matchups from 2008-2017 and found the closest analogies to the PHI-DAL matchup according to the following parameters: Betting spread, over/under, average fantasy points scoring for the top-ranked positional players of both rosters (QB1, RB1, WR1, TE1). I won’t detail every matchup that falls into the top-100, but for illustration let’s look at the most similar matchup: 2009 Week 1, Colts-Jaguars. The spread and over/under are exactly the same as this matchup (Colts -7, 45 O/U versus Eagles -7, 43 O/U). All the players aren’t perfect matches, but that’s why we use 100 similar matchups and not just the single most similar. For this game and 99 other similar matchups, I calculated every possible combination that fits with Showdown rules (one CPT, at least one offensive player from each team) and would fall under the $50K salary threshold assuming the salaries for the historical similar matchups are the same as those for this contest. 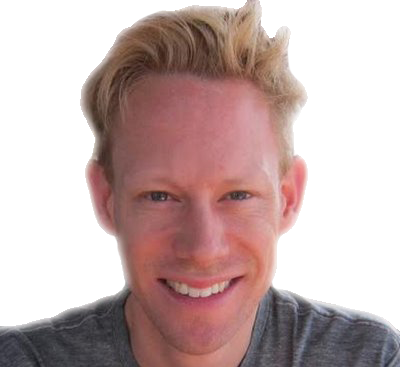 The most unique part of the format, and therefore the biggest opportunity for competitive advantage, is choosing your CPT. 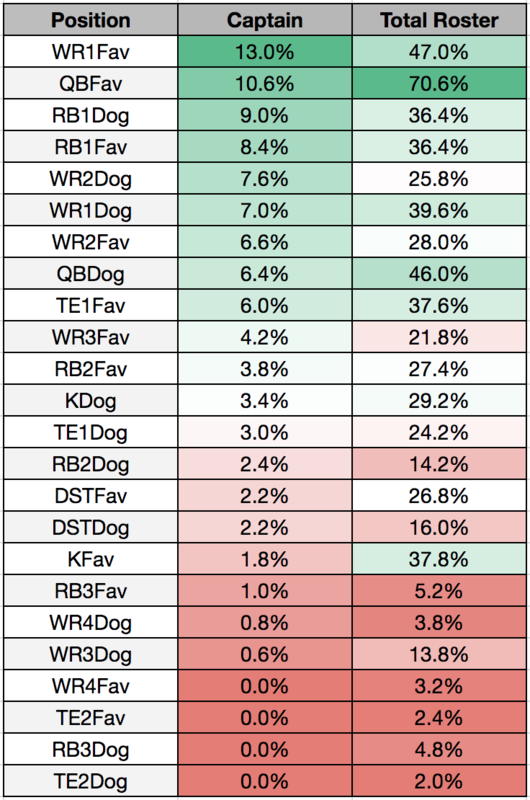 Should you always choose a QB who typically has the highest absolute fantasy scoring? Are defenses and kickers viable options? RB vs WR? I went through the millions of possible lineup combinations for the 100 most similar matchups and found who the CPT selections were on the top-5 scoring lineups for each matchup. Here are the 500 CPT from those matchups by position rank according to salary. This graph illustrates the full range of allocations for the different positions to measure how many of the 500 optimal rosters had exactly zero, one or two of the given positions. The key when looking through this table is to remember that the total roster numbers are much higher than the CPT numbers because the former only means filling one of six slots, and the latter is only one of one CPT slot. Beyond taking in the number in themselves, what’s also important is comparing these to the historical numbers in the primer articles that give the equivalent figures total roster construction and CPT selections for games in different game scripts. Here are how the team stacking composition worked out for the 100 most similar matchups. 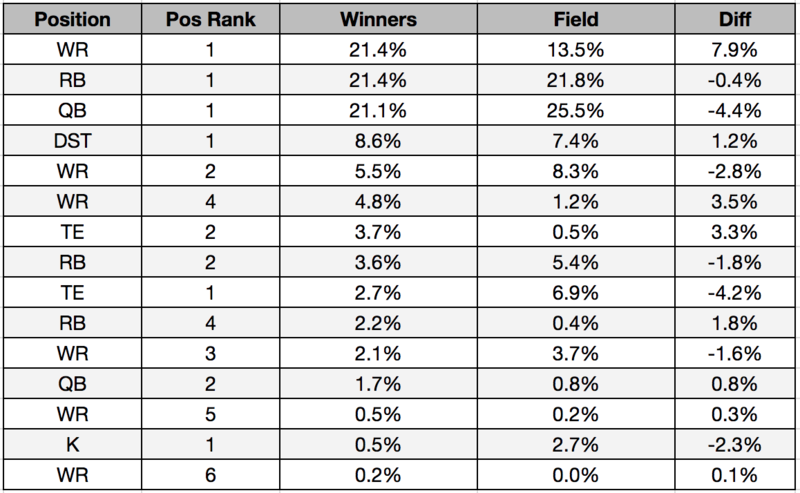 The tables below have the YTD results for the top-0.1% entries (“Winners”) and the field in the biggest contests from 2018 NFL Showdown slates. 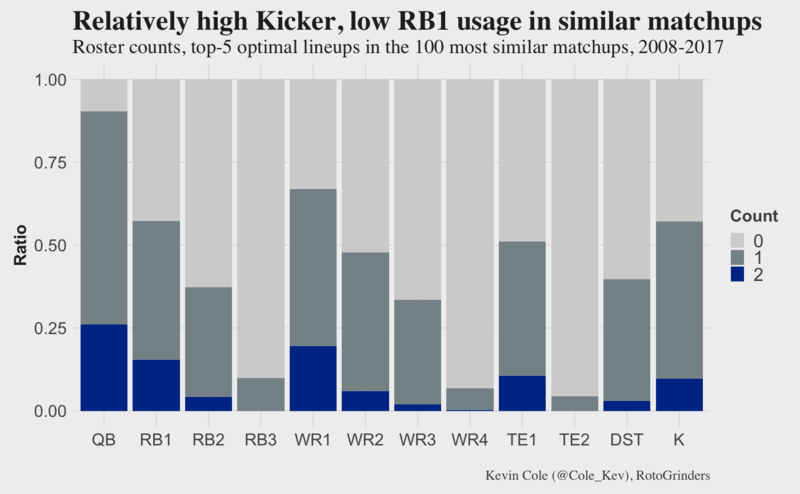 DraftKings Thursday $2.5M Showdown: Play a Kicker?